What restaurants are open on Thanksgiving this year? Because there is absolutely no obligation to cook a full Thanksgiving meal. There is absolutely no obligation to cook a full Thanksgiving meal for friends of family. These days, it's perfectly acceptable to order a prepared Thanksgiving dinner from a restaurant or grocery store and serve it at home. Of course, for people who really don't want to cook or do any dishes, there's an even better option: go out to eat! Lots of people do it every year and Thanksgiving Day is actually one of the busiest days of the year at many restaurants. Instead of scrambling to find out which restaurants are open on Thanksgiving, check out this handy list that includes plenty of specials that are running on turkey day, which is Thursday, Nov. 22 this year. The meal prices and Thanksgiving Day hours may vary by location, so make a quick call to the local restaurant you're thinking about heading to on the holiday. In addition to offering its regular full menu on Thanksgiving Day, there's a special entree that includes turkey breast with gravy, mashed potatoes, stuffing, cranberry sauce and green beans. The meal is available for dine-in or take-out and costs about $13, depending upon the location. Some locations plan to close early, so call ahead. The homey chain has a $15 dine-in special on Thanksgiving Day that includes a main course, three sides, endless bread and a slice of pie. Turkey with dressing is available, but people can also opt for hickory-smoked ham or country-fried steak. Side options include mashed potatoes, mac and cheese, green beans with ham and more. A smaller version of the meal for kids is $7. All in, the chain estimates that it will serve 652,000 pounds of turkey on Thanksgiving Day. This number includes the turkey that that will be served to both dine-in customers and take-away customers picking up a prepared Thanksgiving dinner. On Thanksgiving Day, the restaurant's dine-in option is called the Homestyle Turkey n' Dressing Meal. It includes turkey with gravy, sugar-cured ham, sweet potato casserole, cranberry relish, a refillable beverage, a slice of pumpkin pie and a choice of biscuits, corn muffins or another side. Known for its insanely comprehensive buffet all year round, it's no surprise that this chain goes all out during Thanksgiving. The $17 dine-in Thanksgiving buffet spread includes turkey, ribs, ham, cornbread stuffing, mashed potatoes, sweet potato casserole, green bean casserole, pies galore and loads of other food. Kids meals run from $7 to $9, depending upon the child's age. 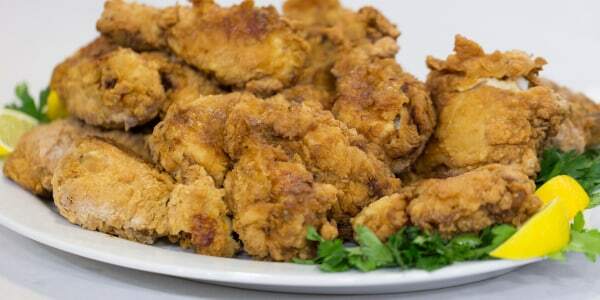 Skipping the turkey and getting a bucket of fried chicken isn't a bad idea at all, actually. But if you're planning on pulling a poultry switch, do call ahead. Although many KFC restaurants will be closed on Thanksgiving Day, TODAY Food confirmed that some locations will remain open on the holiday. Many locations of the golden arches chain will be open and ready to serve up its full, regular menu, but call ahead just in case. Some locations are planning to close early, while others will retain regular business hours. The Southern chain's Thanksgiving Day deal is a little pricier than the other options on this list — but it includes a lot of food. For $20, adults can get a three-course meal that includes a soup or salad, turkey with all the fixings and a slice of pumpkin or pecan pie. A smaller version for kids is available for $10. People can get this deal for dine-in or take-out. Does this chain ever close? Not unless there's a major storm! Every single Waffle House restaurant is open 24 hours, 365 days a year, but there's actually no turkey being served here on Thanksgiving Day. However, they will be serving up classics from its everyday menu, like Papa Joe's Pork Chops. Most importantly, Waffle House has pecan pie and triple chocolate pie.